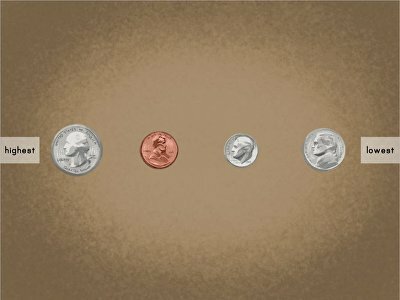 Help teach your child the value of a penny—along with a nickel, dime, and quarter!—with these entertaining money maths games. Whether counting up money in a virtual piggy bank, couch fishing for coins, or practising decimal division while doing some interactive shopping, these money games will give your child essential maths knowledge they'll be excited to apply to the real world. 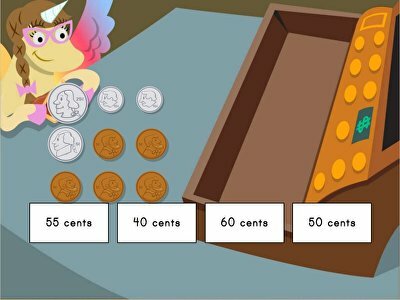 Counting up currency has never been so much fun when you have access to our collection of entertaining money maths games. Adding and subtracting abstract numbers can become mundane, but when you put it into the real life context of earning and spending money, those abstract numbers become concrete concepts that kids can't wait to put into practise. 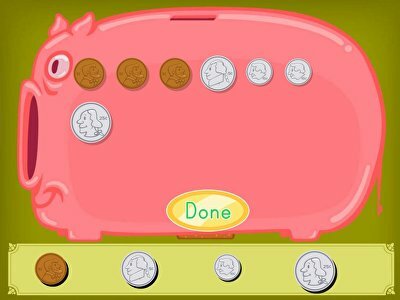 Our exciting money maths games will help your child learn the value of coins and develop the skills to count, spend, and track their money that will carry with them into the real world. 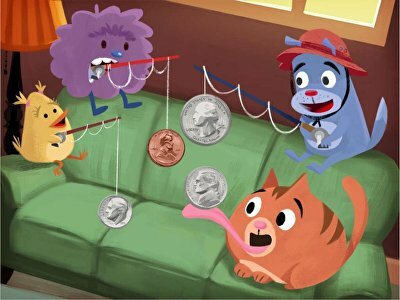 Get your young learners started identifying coins as they go couch fishing with the Brainzy gang, then have them put coins in the order of value with an interactive drag-and-drop activity before adding up the coins they’ve saved in the piggy bank maths game. 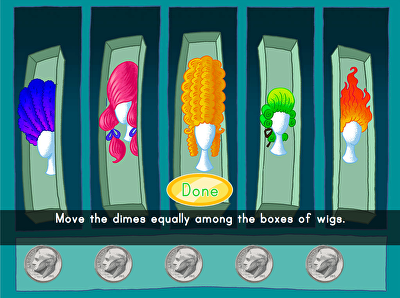 If your child is ready for more of a challenge, send them shopping with Penelope where they'll help pay for purchases at the cash register, or really up the money maths fun in our decimal division games that will have them dividing their money equally across multiple shops to help your child understand where division meets place value.